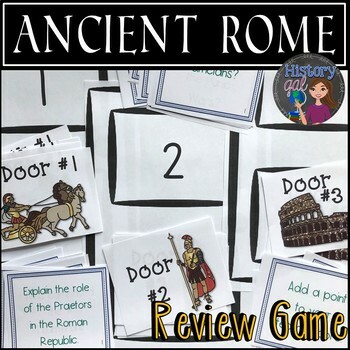 his Ancient Rome review game makes reviewing Ancient Rome and preparing for a test fun! Classes are divided into two teams. Members for the team, stand up and pick between 3 doors. 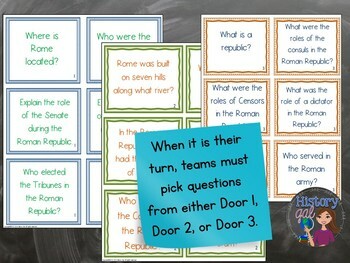 Pick Door #1 and a student may get a question like "Who elected the Tribunes in the Roman Republic?" 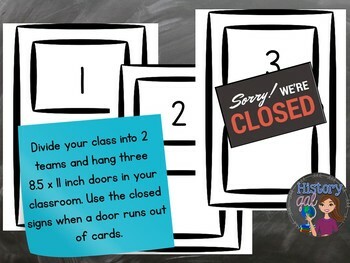 Pick Door #2 and the student may automatically gain a point for his/her team. Pick Door #3 and the student might have to answer a silly question like "Why did the chicken cross the road?" 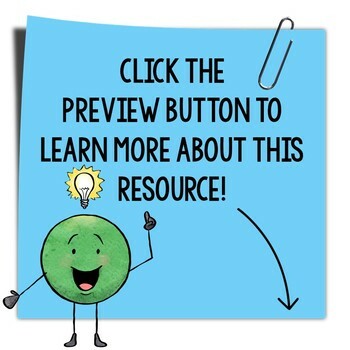 Can You Stop the Fall of Rome?